Taking care of an Elder or Family member can be enormously rewarding, it can also be physically and emotionally draining as well. That is where Respite can come in place. Whether it's for a few hours a week to run errands or a few weeks a year to take a needed vacation, respite care offered you the chance of reduced stress, knowing your loved one is being well taken care of. To learn more about our services or to speak with an Elite Senior Care expert about your loved one’s unique needs, please contact us today 870-215-0323. Our on-staff Registered Nurse (RN) will complete a personal care assessment with you in your home to set up what services you require. From the beginning, we are actively involved in your care or your loved one’s care. Our RN will conduct a personal care assessment and design a customized personal care plan. 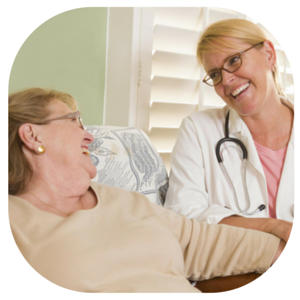 Our health care professional will supervise the caregiver, conduct periodic supervisory visits, and monitor your loved one’s care to make sure it stays in accordance with your or your loved one's changing needs. Our RN will also visit your loved one on a regular basis to assess any possible "red flags" we need to be aware of and provide new care options accordingly. Whether your loved one is simply dealing with the normal struggles of aging or coping with the effects of Alzheimer’s or dementia, your family will be comforted knowing there is a local, licensed medical professional overseeing their care. After hours you can call and leave us a voice mail we will check the next morning and give you a call back. Weekends you can call the office number and leave a message and one of our friendly staff will call you back if it is urgent if not we will call you back Monday morning once we are at the office.